Spring is actually happening as we speak. If you are new around here we are experiencing that sweet spot of spring just before the mosquitoes ruin everything. Get out there. Tonight, get ready for spring entertaining at the Union Market Test Kitchen. Puddin’ will share some of the secrets to Southern cooking with some lucky students. Learn to make sweet beignets and a spring jamabalya while enjoying sips of wine. The class begins at 7 p.m. and tickets cost $60. 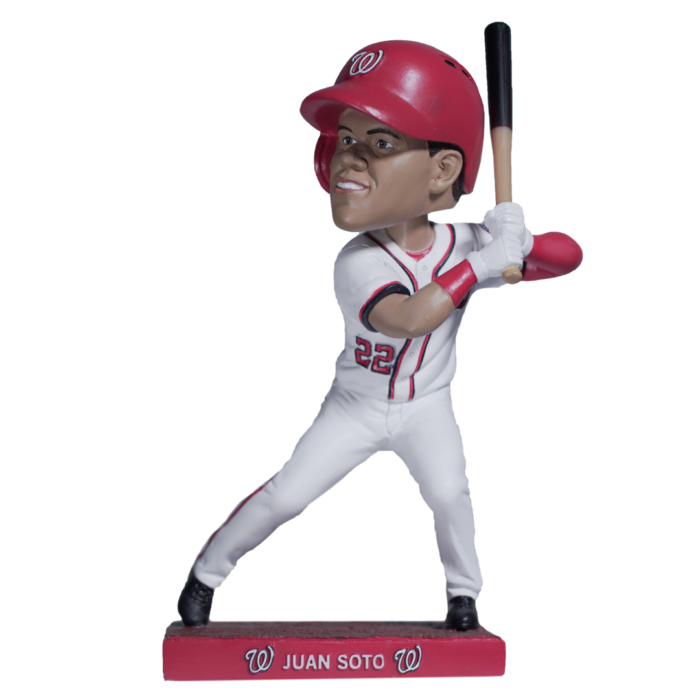 Friday is Juan Soto Bobblehead Day at Nationals Park. The first 25,000 fans will receive a the freebie. They take on the Pirates at 7:05 p.m.
Saturday, Makeshift —the new maker studio space in Linden Court behind the Atlas— hosts a castle-making workshop for all the small princesses and princes. The wee royalty will build and decorate a paper and cardboard castle to take home and play with for eternity. Or never. You never really know with kids. The class begins at 11 a.m. and costs $20. SCENA Theatre is doubling down on late 20th century serious playwrights with the Pinter Rep and the Becket Trio. The Pinter Rep consists of four short plays including one that was found in a notepad after his death. (If I ever see you in person remind me to tell you about the time I accidentally kneed Harold Pinter in the head while crossing my legs while sitting behind him. Actually that basically is the story.) The Becket Trio consist of three short plays by the Irish playwright. I have no personal Becket Stories to share here other than sitting through some ambitious though ill-advised student productions. You could see both productions in one day or space it out. I can’t make that choice for you. Sunday is the Anacostia River Festival, just across the river in Anacostia Park. The fun goes from 1 to 5 p.m. Come and spend some time enjoying the river with neighbors. The Corner Store hosts Classical Sundays presenting the Trio Sefardi. The trio consists of Susan Gaeta, Tina Chancey, and Howard Bass performing Sephardic songs about love, loss, daily life, holidays, and history from Turkey and the Balkans. The tickets are $20 and the concert begins at 4 p.m.